I’m glancing through a textbook called Engaging Ideas: The Professor’s Guide to Integrating Writing, Critical Thinking, and Active Learning in the Classroom by John C. Bean. The book is meant for professors and my husband (who is a professor) received it from his University employer. Lecture courses, by nature, place students in a passive role. Lectures imply a transmission theory of knowledge in which students receive the ideas and information sent by the instructor. The author refers to a researcher, D.A. Bligh, who wrote a book, What’s the Use of Lectures? This book is now considered a classic in the field of educational lecturing. Interestingly, Bligh says that when a lecture (presentation) is well designed and delivered, it’s as effective as other methods for transmitting information. But Bligh then goes on to explain that lectures are not as effective as discussion for either promoting thought or changing attitudes. When you lecture, you want your audience to think and you also want to change attitudes. You want to engage your audience; you don’t want them to be passive. Connect the lecture to the audience’s needs and wants. Use “whole learning” to promote understanding and “part learning” for detailed information. To use whole learning, explain how your topic relates to the wider world or the lives of your audience members. Organize the topic with summaries, overviews, and concept maps so that the audience can connect specifics to the whole. Help the audience put new information to use as soon as possible .This improves retention, so that your audience will remember tomorrow what you said today. Even having the audience write down how they will use the information is a first action that leads to further action. In a training situation, you can use quizzes, discussions, and assignments. Repeat key points at the beginning and at the end. Repeat definitions of concepts and important conclusions. As hard as it is for a presenter to take, the truth is that many people missed it the first time! For training situations, provide feedback on learning. Testing early and often improves student learning. For a non-training situation, you can ask the audience to volunteer their takeaway points. Keep your audience alert. No, you don’t have to dance on a table! Instead, intersperse visual and auditory content. Striking PowerPoint slides can help, especially as a change up. Use multimedia at least once. Include an element of novelty. A demo with a physical object is excellent where appropriate. In a longer program of several presentations, connect new concepts to previous ones. The brain works by making connections. When people can draw on previous knowledge, the new content is easier to learn. Timing: Insert a change of pace every 15-20 minutes. That’s because studies on attention span indicate that, when passively absorbing information, adult learners usually experience mental lapses after only 15-20 minutes. Even worse, efforts to refocus are only partially successful; research subjects tended to drift off more quickly after the initial period of alertness and inattention. Using this guideline, a 75-minute presentation should have 2 change-ups, but a 50-minute presentation could work with only 1. 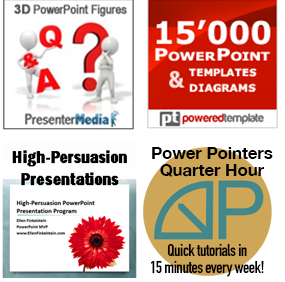 Topic: Your activity should be directly related to your presentation’s content. Even better, reinforce the central points you want audience to remember. The Pitch: When explaining the activity, provide clear instructions about what audience members should accomplish. Talk it over: After the activity, explore what the audience learned. Reinforce important points of the activity and how they connect to your presentation’s overall key points. How do you incorporate change-ups? Leave a comment to share ideas that have worked for you! Wish my lecturers at university read this article. Change-ups are incredibly useful. I’ve been to a couple of business seminars that would go for about 12 hours a day, 4-5 days straight. If they taught those seminars like lecturers tend to present their lectures, I would have been asleep most of the time. However, I was alert and focused almost 100% of the time due to their use of change-ups. They got us to do things like stretch, have small group discussions, give each other massages. Even something as simple as getting everyone to give their neighbour a high-five (though it may sound silly) does a lot to keep everyone awake and energized.